A leaking roof can make life uncomfortable if it’s not taken care of in a reasonable time frame. Left unattended a broken roof means your home can become damp inside, develop mould in the cornices, and the water will eventually spread throughout the roof, which means a huge financial outlay to fix not just a leak anymore, but an entire roofing system by roof restoration or re-roofing. Leaks can cause mould to start growing within 48 hours of the leak occurring. Avoid this. All it takes to keep a roof leak at bay is a regular inspection every six months. However, if you don’t know what to look for when checking your roof for defects and how to prevent them, here are a few tips to help you. 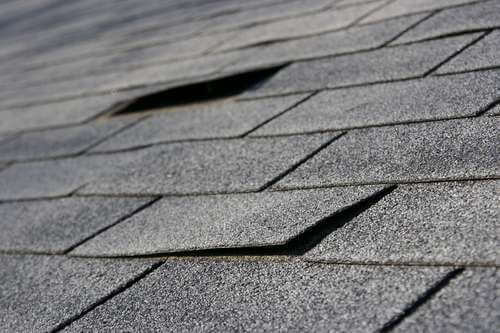 Make a point of knowing which roof spots are most common for leaks. These include the top of a chimney chute, flashing, plumbing vents, skylights, shingles and ice dams (for those homes in snowy locations). These spots should not really leak if they were installed by reputable providers, however, it is best to stay on top of them with regular inspections. If you find any discoloured shingles or damp or rotten wood, then you need to remove the damaged area to find the source, which is clearly close by. Any stains on or inside a roof will alert you to the fact that you may be looking at something bigger than just a dirty spot. Leaks tend to occur close to these spots, so be sure to check within a certain perimeter of the stain for the source of your leak. Waterproofing all seals is essential. You may think a simple tight fit will do the job, but that certainly won’t do. Roofing features, even the tiles, attract water simply due to the design and the fact that water will run into crevices and permeate whatever area it can. If you’re dealing with leaks in features, a simple silicone application can fix that problem. As much as water falls down and not up, with heavy wind and rain conditions water can seep into the soffit vents and cause damp inside the walls. Make a point of regularly checking the vents for permeation. If you locate any, you should call Advanced Roof Restoration immediately to ensure swift and decisive action to stop the leak in its tracks. Nails are the enemy of any roof as these are basically drain pipes for water to leak through and cause havoc. Very often you will find your handyman has missed the mounting board and driven the nail straight through the tile or shingle; it does happen. If so, you will need to contact the professionals very quickly – if the wetter months are coming – to ensure no future issues. If you have found a leak and are uncertain of how far the damage extends, please call the specialists. As much as anyone wants to avoid the financial outlay; if a leak is not caught in time and dealt with effectively, the long-term damage will be extensive and vastly more expensive. Prevent leaks taking over your roof and damp taking over your home. It’s avoidable, and unhealthy. Take action today.